Christian Women Business Organization (CWBO) is a proactive networking group of professional Christian women who own businesses, work for corporations and ministry founders. We desire to see each woman be successful. CWBO is an inviting community of professional Christian women who are mutually supportive in faith, family and business. 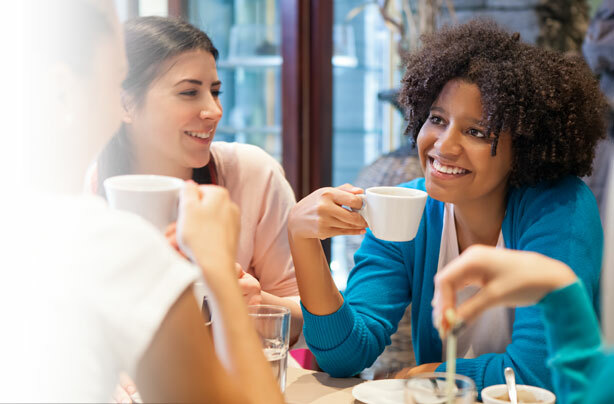 God designed us for relationship and CWBO offers an opportunity for you to build relationships and your business with other professional Christian women in an inviting professional networking environment. CWBO is a place where women genuinely care about you. CWBO is a community not only for networking, but where professional Christian women thrive! Our monthly networking luncheons are the heart of the initial professional and personal introduction. We believe women thrive when they are involved in and committed to each other’s successes. Businesses also grow and opportunity flourishes where Jesus Christ is the central focus. CWBO is a Christian networking group for professional Christian women who own businesses, work for corporations, are sales professionals, ministry founders or executives. Our culture is Christ centered, others focused. We offer a refreshing approach to networking and business building. We believe there is a spiritual and professional role for Christian women in the marketplace and we want to help equip Christian women for their role while growing their business or career. You will enjoy connecting with other professional Christian women and building lasting and supportive relationships. You will meet other like-hearted Christian women with whom you can build relationships, share your business commercial, gather referrals and learn about business opportunities. We inspire women to live out God’s purposes in their lives – both professionally and personally. Our monthly luncheons are warm, inviting settings where Christian women are supportive of you and your success in the marketplace. At our luncheons, you will be inspired by speakers who will encourage you professionally, and spur you on to maturity in Christ. When you attend CWBO luncheons you are also welcome to attend our “invitation only” Christian networking events. "The journey through building a business can be a challenging, refining and filled with plans for success. Yet the success is only as sweet as the people you walk with. CWBO has provided a network for women in business to collaborate and have their journey enriched prayer, encouragement and friendship. Thank you CWBO and the members." "CWBO has been a light in my life. Each luncheon always has very uplifting speakers and the comradery over lunch is a huge blessing. Needless to say I have formed many professional and personal relationships. I praise God for such an awesome group!! God has blessed me with such a great group of professional Christian women." "CWBO has been such a blessing to me, both in my business life and personal life! Knowing I have the praying support of my CWBO sisters is always such a comfort. Knowing my CWBO sisters are referring my business is a comfort as well. I love praying for and referring business to each lady involved as well. As business women or as leaders in our ministries in the local or global marketplace, doubt can creep in from time to time, especially if things are not going as we had planned. You might be asking, what in the world is “Perky Synergy”. Bear with me please. I will explain. The purpose of any blog is to build credibility and trust. We also know that the endgame of blogging is to sell something. However, CWBO’s heartbeat is to communicate how we can nurture and build our skills in business or ministry without sacrificing friendships and our core values. Our chief goal is to promote Christian principles, in both our professional life, as well as our personal life. Ultimately, we want this to be a vehicle as a testimony to the world and to each other - that Jesus Christ is preeminent in all that we do. True success that lasts over long periods of time – may I even say, “over eternity” – comes from bringing God glory in all that is done. God has a new purpose for me. Competition can be so very devastating but collaboration between strong, intelligent, God fearing women… can be dangerous! To learn more about membership in one of our groups, please contact us at 720-583-5775 or email us. Christ-centered, others-focused relationship and business building.